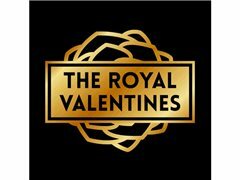 The Royal Valentines is looking for a new Guitarist and Bassist to start ASAP to rehearse ready for a 6 month Cruise Contract we have from October 10th this year to March next year. Thomson Cruise, $1900 per musician, each Month. About the group: We are a professional function band specializing in popular covers. We cover a variety of music from old Rock & Roll and Rock classics to famous groovy Soul/Funk tracks and new Pop tracks. We have regular gigs every weekend at venues across South Wales, and are hoping to branch out across the UK for corporate events, weddings and festivals. Our regular paid Clubs/ Pubs and Social Clubs work is £60-£70 each member. For private hire function work such as Cooperate or Weddings is £100-£150 each member. After more than six years playing with a variety of groups, manager and drummer Richard Trussell started the band, originally called ‘Ruby and the Valentines’, in 2016.